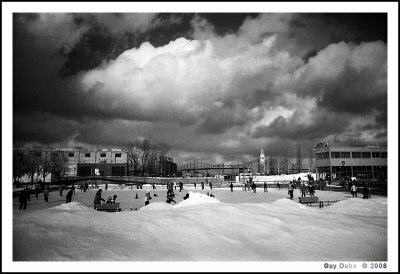 View of people skating at the Old Port in Montreal. We can skate all day long and night with nice music. In the background we can see the Clock Tower and the Jacques Cartier bridge.